The refrain “Welcome to Walmart” is a familiar one to anyone who has visited their many stores. The Walmart Greeter is a first touch welcome to anyone entering the store. A point of engagement they are also a key part of the business value proposition for Walmart because research clearly indicates that retail sales are higher, customer satisfaction is greater and stock loss is reduced when a customer is greeted on arrival to the store. The greeter isn’t there for just their familiar communication. They play a critical role in the Walmart business and customer proposition. Walmart stores depend on people to create the Walmart customer experience from Greeter to Store Manager or from Logistics worker to Buyer to CEO. The opportunity to improve engagement with this massive globally distributed community of workers on one Workplace platform is an enticing one for Walmart. While I know nothing of their decision-making process, I expect that their choice of Workplace is based on the ease and familiarity of its user interface, the strength of its mobile proposition and feature set and the opportunities for integration and bots to help a massive global community. The strong endorsement of Workplace in a recent presentation by Starbucks is encouraging for any retailer considering the platform. Remember Walmart has more than its own employees to engage in collaboration. Walmart has always cleverly involved its suppliers in collaboration to improve its business performance and returns. It is famous for having presented its suppliers with its massive datasets and encouraged them to deliver insights back to its buyers to shape merchandising and marketing decisions. The ease and simplicity of engagement on Workplace presents another opportunity for this global supplier community to engage through multi-company groups to help drive the Walmart business. Walmart’s decision is a strong endorsement of the value of collaboration and the role Workplace can play to realise value for organizations. Since the launch of Workplace last year, we have seen a newfound interest in collaboration in organizations around the world. However, Walmart is a notoriously frugal organisation that lives in its ‘Every Day Low Cost. Every Day Low Complexity’ model throughout its global organization to be able to consistently deliver its ‘Every Day Low Price’ proposition around the world. Walmart would never invest in Workplace unless it knew the value of Workplace would deliver returns that enabled it to further its proposition and significant business value. The value creation opportunity for collaboration can be simply described using the Value Maturity Model of Collaboration. Let’s look at how the use of collaboration for everyday work can help realise value for Walmart. Retail at Walmart’s scale is a demanding business. Employee communications and employee turnover are massive costs at the scale of Walmart’s operations. Leveraging Workplace to create more engaged employees and to simplify communications across Walmart will save money for Walmart around the world. Importantly, this approach will also deliver value for Workplace’s employees by connecting them to others in the massive organisation, giving them easy access to relevant information and also demonstrating the opportunities for them to make a greater contribution. Bringing 2.1 million employees together and helping them to better understand how to execute their roles in line with the Walmart strategy is also a key part the first phase of value creation. At Walmart’s scale even small issues of misalignment can have massive costs. Identifying duplication and wasted effort is a full-time challenge for an organisation of this scale. Walmart has always had a strong focus on using information across its business from its massive data operations to its culture of sharing successful promotions and initiatives across stores. The use of Workplace will offer opportunities to accelerate this sharing and broaden its reach beyond head office and store management communities right to the superstore and distribution center floor. Walmart has outgrown other global retailers to reach a scale of stores and global operations unique in human history. However digital transformation means that to many analysts and observers this scale is more a threat to Walmart’s survival than an opportunity. The Amazon threat to Walmart has been a long standing one and the battles between the two retailers have been fierce, but they have largely been competing in parallel for consumer’s attention. Now with Amazon’s acquisition of Whole Foods and Walmart’s acquisition of Bonobos sees the two moving towards competition across the breadth of channels consumers use. In this context, Walmart needs to continue its digital transformation across its business, whether in its stores or its digital business operations. Agility and collaboration will be key components of this journey. Walmart needs Workplace to deliver it a community of employees across any of its businesses who can come together to work, to solve problems, to learn better ways and to transform the business as a result. Amazon works with speed and agility and uses learning everywhere in its business. They will bring this focus and their relentless customer centricity to Whole Foods and all their future retail propositions. Walmart will use Workplace communities to underpin its own transformation in this way. Digital transformation is not just about delivering a website and a few digital processes. Walmart is already far beyond that level of the use of digital approaches in its business. If its challenge was process transformation, then Walmart would not need Workplace. Walmart needs Workplace because its transformation involves change for both people and the very nature of work. Digital transformation involves taking both process and people into the opportunity to deliver innovative customer experiences, to test and learn in the market at the speed of consumers and to leverage the opportunities created. Walmart’s frugal business approach raises an interesting final question: will they support adoption and business value creation on the Workplace platform? As a platform that can generate strong engagement, customers can be reticent to invest for more. The people dimension of digital transformation also highlights the investments that Walmart will need to make to move beyond simply connecting and sharing. A clear business strategy for value creation, ongoing community management and capability building for employees are critical to realising the value of digital transformation quickly and enabling employees to maximise the value of their use of Workplace. Working out loud must be learned & practiced. Remember Walmart will be engaging a massive global community with diversity of culture, business approach and lines of business. Uniting all of these employees and partners in one new set of work practices will require change to maximise the value. Community management investments are the catalyst for business value creation in collaborative communities. Sustaining this investment is important to ensure that the highly engaging platform grows to a broader, richer and more effective pattern of work. I would recommend Walmart makes these investments to launch effectively and to accelerate it’s growth. In this they can demonstrate a strong lead for all other Workplace customers on how to best leverage the platform. Welcome to Walmart on Workplace by Facebook. The journey ahead will be an exciting one to watch. As this journey develops we need to remember that like the greeter, Workplace is not just in use for communication, it will be a fundamental platform for the business value creation as Walmart transforms itself and its work. Simon Terry is a member of Change Agents Worldwide has used the Value Maturity Model of Collaboration with global organizations for over 4 years to improve the effectiveness of collaboration. 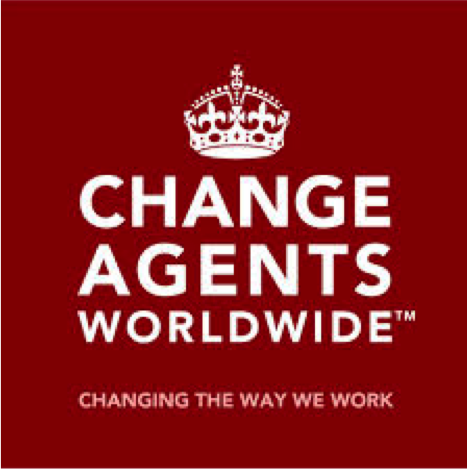 Change Agents Worldwide is a Workplace by Facebook Partner, specialising in adoption services to enable organisations to accelerate the realisation the strategic business value of collaboration. Ask us how we can help your organization accelerate the benefits of collaboration and future work practices. As the end of November approaches, that time has come again when we must consider whether we have the right initiatives in place for ourselves and our organisations as we get ready for 2017. How are you transforming the capabilities and work practices in your organisation to make sure that your teams are more effective in their work? Pervasive Global connection: As internet connectivity has gone mobile, we now have the ability to connect with, to converse with and to see the whole system of our stakeholders any time anywhere. Automation: Digital technology has enabled us to automate simple tasks and string together increasingly complex processes and systems. Data and Analytics: As digital connection and digital automation expands so does our ability to gather data and analyse that data to provide insight and run complex algorithmic processes. Changing Consumer Expectations: As consumers are exposed to the potential of digital through consumer technology and consumer services, the businesses must meet disruptive and exacting standards for convenience, service, value and speed. Accelerating Pace of Change: Disruption, greater responsiveness to change and ever-shortening cycles of feedback are the new norm for business and our work practices must adapt to enable our businesses to keep up. We have already seen great change in digital transformation. Further dramatic changes in the nature of work are here but ‘not yet widely distributed’ to borrow the phrase of William Gibson. These five are in place in your organisation today. However, they may not be well understood, managed or serving your purpose. As you look to 2017 it is always worthwhile to ensure that the foundations are sound and well aligned. Purpose: Be clear on your personal purpose. Look for that purpose in the work you do. Clarify the shared purpose in your organisation. Don’t impose a purpose designed around the leadership table. Discover the purpose through the stories and the work that bring your organisation together. Strategic Value: What value are you trying to create to fulfil your purpose? What kinds of value matter most to your stakeholders? When do they know you are creating value? What measures tell you that you are achieving your goals? Networks: To compete in the network era, your organisation must be networked. How are you bringing people together to connect, to share, to solve problems and to respond to the networks around your organisation? The technology matters less than the connection, the behaviours and the shared purpose. Are you clear on the strategic value of your communities, are they well supported with sponsorship, investment and community management so as to accelerate their value creation? Culture: Move beyond words on a poster. Move beyond generic platitudes. Move beyond an agglomeration of individual team cultures. What specific values are shared across your organisation? Why do these help fulfil your purpose? How do those values translate to expectations about behaviours in and across your teams? Is the culture in your organisation effective for your purpose and the value you are seeking to create? How do you personal role model the behaviours you expect from others? Employee Experience: Are you working somewhere that values the employee experience and is adapting it to changing work and changing roles in the organisation? How have you aligned your employee experience to your desired customer experience? Does your workplace create rich value for employees and enable them to express their potential in fulfilment of purpose? Does your employee experience work as well for the one-hour temporary contract worker as the long term employee? Does it work equally well for all levels of the hierarchy and all corners of your network? These four personal practices are enablers of the future of work. They enable an individual employee to deliver greater value in their work by responding to the opportunities and information in their environment. Agile and adaptive they empower employees to continuously improve and innovate. Working Out Loud: Sharing work in progress in a purposeful way with relevant communities will accelerate learning, sharing and feedback cycles. Start working out loud now. Personal Knowledge Management: Learn how to turn the personal information flood into effective sense making, learning and sharing. A critical skill to make sense of complexity and to leverage networks for learning. Adaptive Leadership: Enabling the rebel and the change agent to lead more effectively in any system. Improving understanding, influence and the increasing the breadth of leadership techniques to create collective change in any system. Experimentation: Move beyond the limits of your expertise. Learn by doing. Resolve uncertainty through action. Shorten cycles of decision making and feedback to increase personal effectiveness. Organisations are made up individuals. These four practices of organisational effectiveness scale and accelerate the personal practices through a focus on design of systems for connection, learning and adaptation. Open Collaborative Management: Middle managers are often those who find a change to digital ways of working most threatening and disrupting. Open up the work of management. Move management from planning, allocation and control to facilitation, alignment and coaching. Shorten cycles and improve the performance value of feedback. Foster the role of managers as network navigators and brokers. Management can be a critical point of leverage in achieving more open, more collaborative and more effective work. Scalable Capability Development: Turn each employee’s learning into a contribution to scalable system for delivering strategic value. Create Big Learning systems that scale learning around strategic capabilities for the organisation’s success. Coordinate your learning agenda as an agile change program. Curate the capability building of your teams and leverage social learning to bring 70:20:10 and a performance-oriented approach to learning to life at scale and in the workplace. Effective Networked Organisations: Take advantage of the networks in and around your organisation to rethink your business model and organisational design choices. Break the centralised/decentralised binary and move beyond hierarchy. Enable autonomy, foster alignment and improve effectiveness for purpose. Skill your teams to achieve effectiveness in the wirearchy. You don’t need to purchase a new management system. You need to adapt your approach to managing knowledge, trust, credibility and results to your purpose, culture and community. Agile Innovation & Change: Adapt to the changing needs of the environment and stakeholders to deliver new value. Accelerate innovation and change through new approaches and by putting in place the systemic support for employee-led innovation, change and transformation to a more responsive organisation. 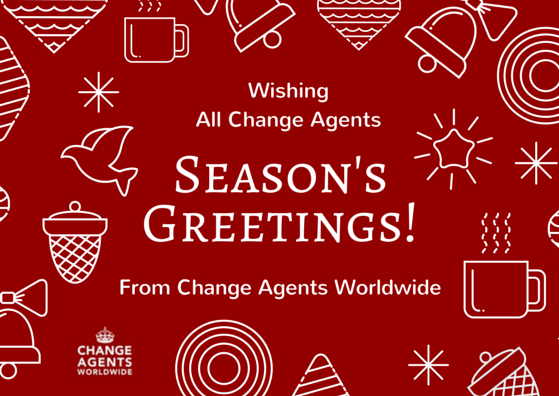 If you or your organisation are interested in exploring any of these areas of work, Change Agents Worldwide are ready to help. Our members are leading practitioners in the future of work and developing innovative change programs for organisations around the world to make work more effective. It has been almost two years since I stepped into the unknown and became an independent consultant. Looking back, it feels less like a step and more like a leap. In a single gesture of defiance, I traded security for freedom, leaving behind a relatively comfortable, predictable role in a large organisation. I had never expected to end up working on my own. But the promise of freedom was alluring. It still is. At the same time freedom opens up possibilities that are terrifying. In his book The Concept of Anxiety, Danish philosopher Søren Kierkegaard explores the immense feelings of dread that accompany that moment when we find ourselves at a crossroads in life. The moment when the choice to do something hangs in perfect balance with the choice to do nothing. Kierkegaard uses the example of a man standing on the edge of a tall building or cliff, from where he can see all the possibilities of life. 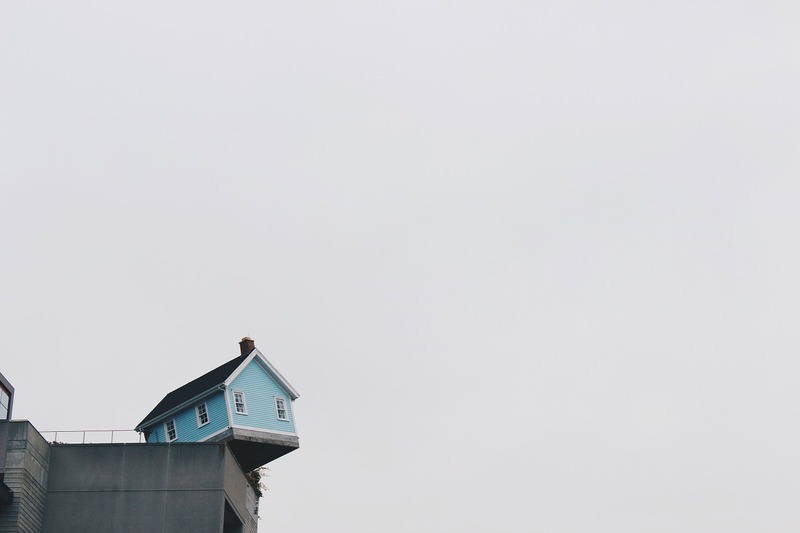 As he looks over the edge, he experiences both a fear of falling and at the same time a terrifying impulse to throw himself intentionally off the edge. Every edge I have stood on has provoked feelings of dread and excitement. Whether going into a first meeting with a new client, writing a few pages in my book, or facing a bored and unmotivated group, I have struggled with what Kierkegaard calls our dizziness of freedom. Just like Kierkegaard’s protagonist, staring into the space below, I have contemplated many times whether to throw myself off or to stay put. To rally against the safe but numbing comfort of the status quo. I need to keep reminding myself that the greatest learning is just outside of my comfort zone. I need to keep stretching myself to keep growing. To resist the strong pull of the crowd. I have found perspective on the margins, not looking to the outside for approval or acceptance, not following a trend just because everyone else is following it. To interrogate the world’s criteria for what is good or successful. I am suspicious when I am being offered a formula to quick success or many riches. It is powerful to be able to question mainstream expectations, and carve my own path with courage and purpose. The responsibility that comes with the freedom to choose is terrifying. But the cost of not choosing is even more so. We need to welcome this dizziness of freedom as a sign that we are, in fact, just where we need to be. A sign that we need to slow down and reflect on the risk, then step off the edge anyway. Diana Renner – Leadership consultant, facilitator, author of ‘Not Knowing – the art of turning uncertainty into opportunity’, Chartered Management Institute Book of the Year 2015, UK. 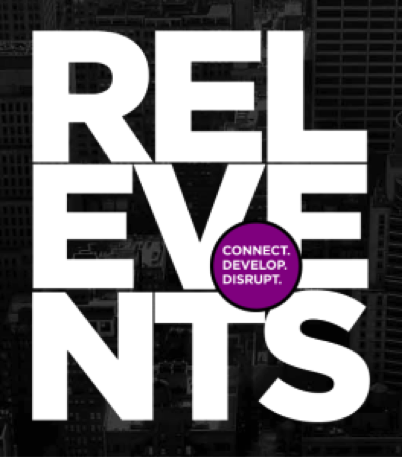 This event will involve 24 hours of speakers sharing stories, observations and emerging practices about creating change and reshaping the future of work. Look forward to being challenged and inspired by their stories. United States (EDT); 6 a.m.
United States (PDT) 3 a.m.
We will be using the Twitter handle: #RebelJam15 so that you can follow along and review the conversation. You can view our Schedule of speakers and topics and there is still time to get involved as a speaker. Hierarchy likes order. Networks manage complexity. Hierarchy walks in an orderly procession. Networks hustle. Hierarchy wants projects to go from a through to z. Networks experiment across the alphabet. Hierarchy wants a clean status. Networks solve for problems & mess. Hierarchy manages stocks. Networks manage flows. Hierarchy likes secrets. Networks share. You can wait for your spot in the orderly procession. However the orderly procession might never reach you or might pass you by blind to your talents to walk in lockstep. Join the network of doers instead. Business, organization and culture change are hot topics in the corporate world today. However, they often remain conceptual thinking: implementation is seen as difficult. We know companies have to connect with their internal and external stakeholders, we understand a collaborative culture is now key to success, we may even realize that social technologies are not sufficient to ignite collaboration. So, where to start? Well, the trigger can be as simple as a meeting. A different type of meeting. Here’s an example. Some corporate leaders understand it: traditional ways of working have to evolve, companies must reinvent themselves. Not for the beauty of transformation per se, but because old ways don’t work anymore. The need for change may come from a reduction of what makes a company strong: market share, profitability, attractiveness to talents, industry leadership – the accelerating pace of disruption shows in the shrinking lifespan of large corporations or in the topple rate evolution. It may also (and simultaneously) come from an increase of what makes companies weak: production issues, customer complaints, employee disengagement, operational rigidity, write offs, quality concerns. When this happens, unfortunately too many leaders put the blame on external factors: market conditions, competitors’ move…; on anecdotal concerns: inadequate processes, sub-optimal governance…; or worse, on bad will of staff. They change people, update operating procedures, replace the equipment, shift market focus, or hire a strategy consultant. And the problems are still there. Why? Because this is a systemic issue, which requires a systemic transformation. We’re living in an age of individual empowerment, combined with 3 technological disruptions at the same time (cloud, social, mobile) as David Terrar explained recently in an interview with Thierry de Baillon for The Future of [Collaborative] Enterprise (check it out – it’s an awesome project). In this context, what’s needed is an organizational and cultural transformation of companies. Not just another change management initiative: you don’t cure a seriously sick patient with a Band-Aid. I was lucky to meet recently someone who gets it. Inspired by the writings of John Kotter, Chip & Dan Health and others, Anders wants no less but to change mindsets in a large, global corporation. He was recruited just a couple of months ago to direct Quality in a leading pharmaceutical company, reporting to its CEO. This function has gone through deep issues in a recent past, which should never happen again: Quality is a vital stake in healthcare. Really. Regulation authorities can have a company close down its operations if quality doesn’t match the required standards. Anders and I met after a speech I made about collaboration for stakeholder engagement. He thought this was the right approach to support his transformation project. This move was really the first evidence of a new thinking: Anders’ organization and mine are not related, have never worked together. I had never seen a function leader pick the brain of a less senior co-worker, of another functional silo, in an informal mode: no project team, no hierarchical validation, no entry into annual objectives or other corporate rituals. “Wirearchy in action”, as Jon Husband would say. What was sought after here was the diversity of thoughts. Plus, an expertise with engagement through social collaboration that no other function (Comms, HR…) can provide today. A 2-day meeting was planned by Anders with his new leadership team, three weeks later. I gladly accepted to help design and facilitate the meeting. This was the opportunity to bring people together around a crucial topic (Quality), to lay the foundations of a new thinking around culture change, and to showcase social collaboration tools and mindset. Here are the main features of this meeting, which can easily be applied to any topic and any company. Combined with a modern leadership practice, this set of actionable items is a stepping stone towards an efficient, collaborative corporate culture. Seek external inspiration. Asking Change Agents Worldwide fellows was my first reaction when I was consulted on this initiative. We are a community of practice, gathering enterprise and solo change agents. We collaborate and exchange ideas via a Socialcast platform. “Can social collaboration improve Quality?”: in just a few hours, I was able to collect insightful answers and suggestions that provided precious inspiration. Crowd source the agenda. If you want participants to be engaged in a meeting, you have to engage them from the very beginning, i.e. from the meeting design phase. Ask them what they would like to address, and actively build upon it. This gives ownership of the meeting to the participants. For large meetings, if you can’t afford to ask everyone, you can at least “crowd test” the agenda. Seek unbiased input. Avoiding complacency and political correctness is important to make a meeting really productive. Ideas must flow freely, which can be difficult in some corporate cultures when various hierarchical levels are gathered in a meeting. To that end, I have set up an anonymous survey addressing all the hard topics, to collect straightforward input from the meeting participants. This anonymous input has provided the main material to support discussions along the meeting. Be social & digital. Face-to-face meetings are – still – often seen as the optimal layout for collaboration. 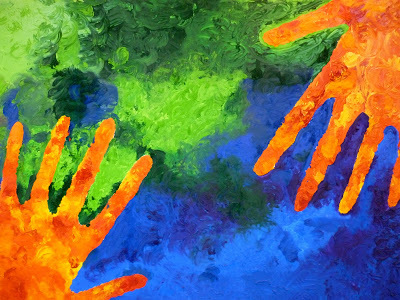 It’s time to bring in social and digital, as collaboration enhancers. Ahead of their meeting, I have created for this executive team a closed group on Yammer. Almost none had used the enterprise social network before. I also showed them how to use the Lync instant messaging system. The idea is to have them move away as much as possible from emails, to work out loud (thanks John Stepper), as a collective, and to develop agility. Hopefully they will continue to use these tools after the meeting. Be transparent. Both the agenda and the survey outcomes were put at the disposal of participants ahead of the meeting, on the Yammer platform. There was no surprise, because surprise supposes an imbalance in the level of information, which is a disengagement factor. Connect as human beings. “It’s the human connection that will rewrite the Story of Work in the future” says Louise Altman of The Intentional Workplace. So true! That’s why we started the meeting with the “personal journey mapping”, a very simple exercise I’d seen in an inspiring brainstorming session organized by The Loop. Each person successively draws his/her personal journey on a world (or country) map, while commenting it for the other participants. Suddenly, this person becomes more than a professional with an assigned role. Connection can take place at a much more interesting level: as human beings, with our history and passions. Share our purpose. Right after drawing their personal journey, participants were invited to answer the question “Why do you work where you work?” If answers were too broad (echoing the company’s mission for example – something that anyone in any other department could have said), they were asked to be specific to their work. By doing so, people were able to realize that all of them were driven by a deep emotional purpose, and that this purpose was shared. Make it enjoyable. To engage people, to make them want to cooperate, you have to think about their “user experience” of your meeting. Make it nice, and they will be more likely to participate actively. It doesn’t have to be fancy to be nice. Too much fanciness is even bad for focus. But you can manage time wisely: start the meeting at 9 instead of 8:30, finish early so that people have time to catch up with their mail box. You can also ditch formality: chase corporate talk, have drinks rather than a formal dinner after the meeting, or… sit in the grass together. One lunch was actually a picnic in the nearby park. The meeting has proved extremely successful, for a ridiculously low cost: food and beverage only. By the way, I can only recommend Ander’s wine (Flying Suitcase), that we enjoyed tasting! Of course, this was “just” a meeting, and you can’t hope for sustainable, large-scale, global change from a mere gathering of a leadership team. Organizational transformation towards collaboration will require many additional activities over time. But you have to start somewhere, and this is a good start. What are your ideas to kick off a new collaborative culture? In The Social Psychology of Organizing, Karl Weick exposed the theory of enactment, stating that organizations were fundamentally an abstraction of the reality, essentially brought to life through management’s narrative. In that sense, changing the way we work requires much more than technology and knowledge workers’ empowerment. 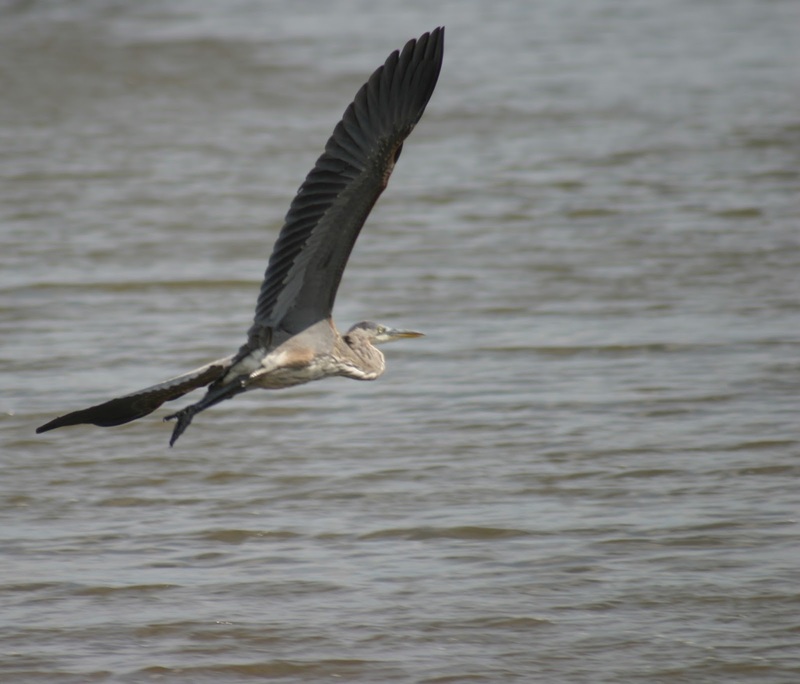 Taking a broader perspective, and looking at organizations, not only as a production and profit-making machines, but as center of a part of human activities mainly taking place in cities, sheds a different light on their role and nature. While trade was an important part of the wealth of cities during Antiquity, we had to wait until the XIth century for economic exchanges to regain importance after almost half a millenium of Barbaric invasions and feudal wars. At that time, cities began to define themselves through their economic activities, and to specialize their production. Physically, as well as symbolically, delimited by heavy walls, the medieval city grew organically, around a center dominated by religious buildings, and commercial activities cohabited with residential houses at the heart of mostly undifferentiated territories. Furthermore, despite its strong geographical delimitation, the medieval city was interdependent with its surroundings. Rural territories provided the necessary food, were the place to build roads to link cities, and were inhabited by the most important part of the population (85% in France). During the Renaissance, cities undertook a crucial transformation. Letting them grow anarchically was no more an option, and new cities began to take shape, planned and designed according to the notions of harmony, symmetry and simplicity rediscovered from Antiquity. At the same time, and during the following centuries, specialization was taken to another level, as cities were specially built to accommodate and support one of the three main powers of this era: economical, political and administrative, and military. Everywhere across Europe, royal cities competed in refinement, while engineers like Vauban in France or van Coehoorn in the Netherlands conceived and built fortified towns by applying to the principles of military architecture to urbanism. The economic role of cities was at that time preponderant, and more than a few had their name directly associated with a production or transformation activity. Think for example about Antwerp’s diamond commerce or Calais’s lace manufacturing. With the XIXth century’s industrial revolution took place a rapid and radical disruption: at that time, firms took over cities as symbols as well as guarantors of the whole economic activity. Work began to be dissociated from other social activities. The city, from holistic center of human activities, has progressively seen its role and influence diminish over time. As companies were gradually loosing contact with the other aspects of human life, some attempts were made to provide workers with a unified environment, this time not under the responsibility of city’s governance, but the one of modern “captains of industry”. Taking inspiration from Charles Fourier’s utopian theory of phalanxes, between 1856 and 1858, Jean-Baptiste Godin built the Familistère in Guise, Belgium, to provide workers with all the necessary infrastructure and services he supposed they needed to be productive at work. At the beginning of the XXth century, Edouard Michelin has built whole new districts in Clermont-Ferrand, allotting them schools, sports facilities, and even a church. Drawing a parallel between the evolution of the city and the one of the workplace is of course tempting. The industrial era has rationalized space, productivity has got rid of shapeless shops and offices to implement neat open spaces, large passageways and functional lines of production. This analogy could be pushed even further, as a majority of companies still operate in a Modernist-like manner: managers are the workplace equivalent of continuous commuters (the dark side of mobility), and knowledge workers populate impersonal open spaces or tentacular alignments of cubicles… But there is much more to be understood in the evolution of cities and of their relationships with economical actors. Inside organizations, the frontier separating private from professional life is rotting, and “work” is no more a monolithic activity separated from others. Increased mobility and remote working, as enabled by technology, are gaining in importance, and are quietly involving brand new relationships to time and to space. For how long will we afford to keep on dealing with urban landscapes and with the “socialization” of business as two separate perspectives? As John Hagel and John Seely Brown wrote, the workplace needs radical redesign to allow for more collaboration and continuous learning. Customers’ new behaviors not only are forcing many companies to redefine their business model, but require them to rethink their spatial and symbolic relationships with them. Providing them with more channels to interact is not enough, we need to conceive and design those in a more human way, and allow customers to embed these channels in their way of life. Cities, and those who think and design them, are often ahead of organizations in tackling these problems. Furthermore, the divorce between work and other facets of human life which took place during the industrial era has to be considered under the light of organizational design. As organizations aim at leveraging the relationships dynamics, they must begin to take seriously into account their own role in the city, which encompasses most of these dynamics. Redesigning work means rethinking the place of work inside human activities, thus inside cities. Restoring the city’s economical role and identity has become a sine qua non condition to a successful urbanism as well as a truly social business. Organizations do not need to become customer-centric, but citizen-centric. Utopia? Have a look for instance at Zappos’ Downtown Project, which goal is to restore a continuity between the workplace and the urban community. The future of work lies at the heart of the city. Your company doesn’t share information. There are silos in your organization. Each silo is not interested in helping the other silos. Enterprise Social tools are still not being used. Technology is not what wins the battle, change and culture, that’s what’s needed . Find the incentives for people to share.